Farmington Hills, Mich. — Due to increasing demand and growing popularity for ACI Certification programs, the American Concrete Institute (ACI) created a new graphic for organizations and individuals to show their support for ACI Certification. Supporters are encouraged to include the graphic on email, websites, stationery, and other materials to show support of the American Concrete Institute’s certification programs. ACI currently offers 23 certification programs designed to form a minimum qualification for personnel employed within the concrete construction industry, with several more programs in development. Certification examinations and optional training courses are conducted through an international network of more than 100 sponsoring groups. Since 1980, ACI has administered exams to more than 555,000 individuals, with more than 100,000 certifications currently maintained by ACI. To download graphic files and read the usage requirements, visit www.concrete.org/MarketingToolkit. 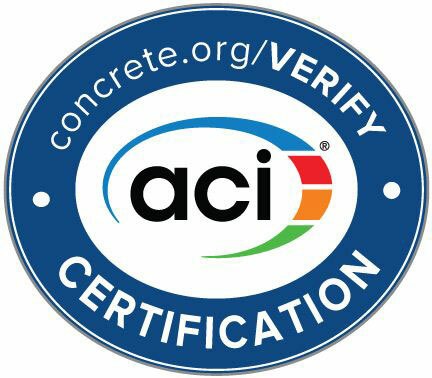 To learn more about the value of ACI Certification to individuals, specifiers, and employers, visit www.whyACICertification.org.